A friend of mine found this at Hobby Lobby and I thought it was too brilliant not to share it! I sat down this morning before the boys woke up, cuddled up in my chair with my coffee (upgraded with a little unsweetened almond milk), and opened up my phone. 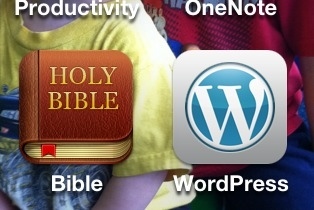 I saw the Bible app on my phone (which is where I do almost all of my Bible reading these days) right next to my WordPress app. Knowing that I was behind a day on my posting, I thought “Oh, I’d better come up with a blog topic.” But nothing immediately came to my mind. Now, mind you… this is all happening during the time that I have set aside for reading my Bible… not for blogging, but for some reason there are times when I… don’t want to. It’s usually when I have fallen behind on my reading and need to catch up several days worth (which is the case this time). But luckily, I had no immediate thoughts of what I could write about, so I sighed and tapped open my Bible app. Oh boy, was this ever a grab for me. Luckily the rest of my reading was in 1 Kings 6 and 7 which is all about building the temple, because my mind could not get off of that verse in Psalms. Not so much because it had the word “food” in it… although of course that is what grabbed my attention in the first place, but of the specific words and what they revealed to me about the condition of my heart pre-covenant (and sometimes the during-covenant). I have tested God for years… not so much on purpose, but by just relying on other things to “save” me. And by thinking that being skinny was the end-all-be-all of life. As if being skinny would make all of my problems go away. To give you an example of how sick, sick, sick my heart was… there were times that I would secretly (and I mean secretly) hope for cancer so that I could be forced by chemo into losing weight. SICK! I’m so ashamed that I have ever had such thoughts, but part of this blog deal is to be open and honest. And if my cookie dough experience wasn’t enough to convince you that I needed help, then maybe that little tid bit of info might. But the demanding part really got me as well… because I have had that kind of attitude with God for so long. As in, well, I’ll give up bread and chips and sodas… but do not ask me to give up chocolate. Seriously, cause I won’t do it. Well, completely unbeknownst to me that it was happening, my “I won’t do it” turned into “I can’t do it”. And I found myself… not just wanting God’s help but needing it. having to have it. being unable without it. And so, I guess this is just a reminder of how desperate my heart needed some… reconditioning. And reconditioning it, He is.